The Kia Cee'd is a front wheel drive small family car released in the European market by the Korean manufacturer Kia Motors in December 2006—superseding the Kia Cerato—and available as a five-door hatchback, three-door hatchback ("pro_cee'd"), and five-door estate ("cee'd SW") with a choice of up to four engines (two petrol and two diesel), three trim levels (1,2 and 3(previously S, GS, LS and SR) and either manual or automatic transmissions. The Cee'd was designed in Frankfurt, Germany, with Miklós Kovács leading the design team. Cars are manufactured in the Kia factory in Teplička nad Váhom, Slovakia. 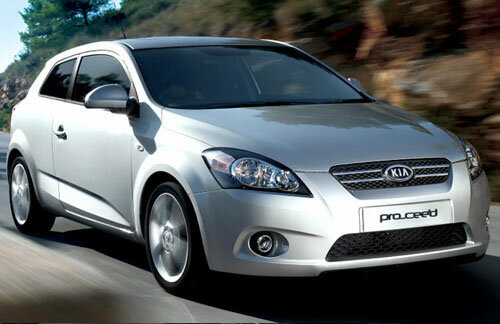 The Kia Cee'd, marketed in the United States as the Kia Forte, shares its platform with the Hyundai i30. Beginning in 2010 the Cee'd receives Kia's new corporate grille, known as the Tiger Nose — as designed by Kia's design chief, Peter Schreyer.